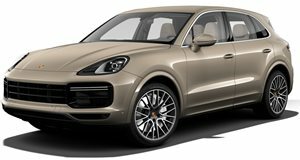 Despite its lofty price tag, it seems five people are willing to part with their hard-earned cash for a tarted-up Cayenne Turbo. The London-based boutique luxury carmaker revealed the Artemis SUV at the Beijing Motor Show, labeling it the world&apos;s first Super-SUV while announcing its £250,000 price tag. The automaker recruited Alastair Macqueen, who developed the legendary Jaguar XJ220 (at one time the world&apos;s fastest road car), to develop the SUV&apos;s performance and handling. Power comes courtesy of a 4.8-liter twin-turbo V8 with 600hp and 553lb-ft of torque. This helps shift the Artemis from 0 to 62 mph in 4.5 seconds and hit a top speed exceeding 180 mph. A handcrafted interior boasts the finest leathers, quilted under carpets and boot trim, lamb&apos;s wool rugs, piano black and carbon fiber. There&apos;s also a choice of sunroofs and a state-of-the-art audio system. 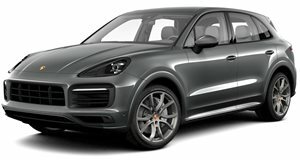 That&apos;s all well and good, but essentially the Artemis is a Porsche Cayenne Turbo with added luxury. Nevertheless five Chinese customers have ordered the SUV; four opting for the standard model at £210,000, and one opting for the completely bespoke £250,000 model. Eterniti are hoping to lure another 30-40 clients to part with a quarter-of-a-million pounds for the Artemis instead of spending less than half that on the Porsche Cayenne Turbo. 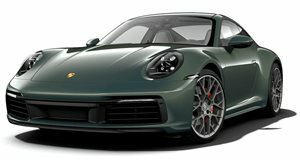 With a bit more capital they can then continue with their Supercar project, which is suspected to be a re-skinned Porsche 911 Turbo.